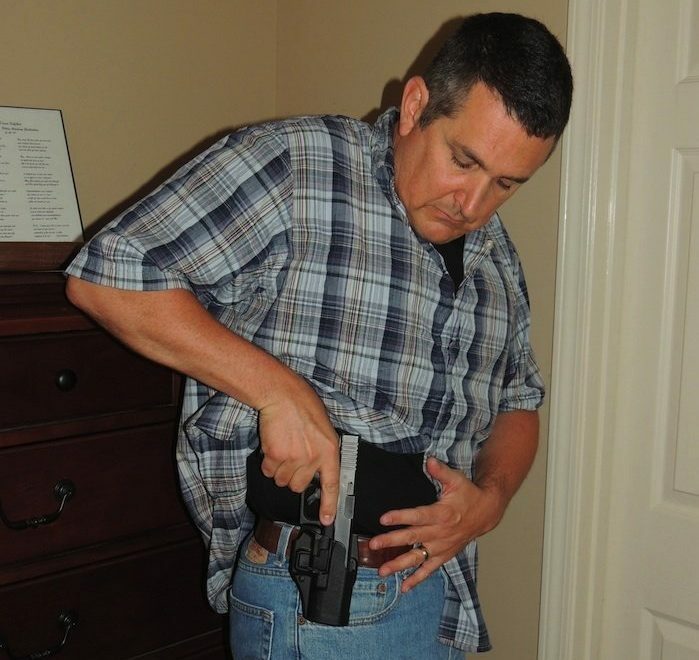 The Cardinal Rules of Firearms Safety are not just for the range. In two recent law enforcement involved shootings, officers unintentionally discharged their firearms under very stressful situations. Though the discharges may have occurred during felony or high risk situations, a police officer cannot discharge their firearm unless they deliberately intend to do so under lawful guidelines of Constitutional and Statutory authority. This type of negligent discharge emphasizes the need to enforce the Cardinal Rules of Firearms Safety, and to increase/enhance firearms training for officers. Law enforcement and reputable firearms instructors should emphasize the Four Cardinal Rules of Firearms Safety. The words of these rules may differ slightly across the nation, but their overall content does not. Treat every firearm as if they were loaded. Point your firearms in a safe direction — one where an unintentional discharge will cause NO HUMAN INJURY and, at most, minor property damage (AKA “the laser rule”). 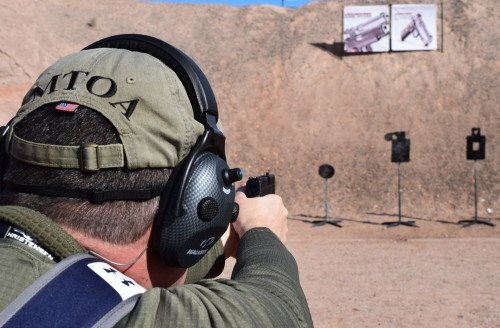 Keep your finger off the trigger and outside the trigger guard, indexed along the frame or slide until you are on target and have decided to fire. Be sure of your target/threat, backstop, and beyond. The City of Cleveland Police has around 1550 officers. A few weeks ago a suspect was arrested for Murder in Cleveland, Ohio. Officers transported him to the police station for an interrogation by detectives. Once at the police station he was led to a video recorded interrogation room where a uniformed officer was present to guard him. At one point someone off camera instructs the uniformed officer to remove the handcuffs from the suspect. The officer moves behind the suspect and begins to accomplish this task. What happens next is one of the most horrific threats an officer can face – a motivated suspect grabbing for his handgun. Though seemingly implausible inside the police station, this act should stand as a strong reminder to officers that suspect control must remain a top priority even in areas considered relatively safe like the police station or Detention area. Officer Safety: Fentanyl, “Unprecedented Risk”! The Drug Enforcement Administration is the chief Federal illegal drug enforcer (photo by DEA). The United States Drug Enforcement Administration (DEA) has just released an Officer Safety Bulletin warning officers on the extremely dangerous exposure risks to the drug Fentanyl. The first warning went out in March, 2015, but the continued risk posed to law enforcement, first responders, and the public at large, has led the Federal agency to send out a second warning. This has come on the heels of dozens of Fentanyl overdose deaths from users, and several near misses with law enforcement officers exposures during investigations. Fentanyl is a synthetic narcotic analgesic (opioid) used in the treatment of chronic or severe pain. The drug is extremely potent with a rapid onset, but only a short duration. Fentanyl is extremely dangerous, though it has a genuine medical purpose allowing it to have a Schedule II controlled substance rating. Fentanyl is roughly 80-100 times more potent than morphine, and even 40-50 times more potent than pharmaceutical grade heroin! Generally used as an anesthetic or analgesic (in a highly diluted form), Fentanyl has had tremendous positive effects for those suffering from higher levels of cancer or those with battlefield (severe) injuries. Who doesn’t like a big boom? Everyone that enjoys shooting likes to feel the power and hear to roar of their firearm. The 4th of July celebrations would not be the same without the enormous expenditure of small explosives in the form of fireworks. Movies and television shows love to add in dramatic explosions and gun fire to increase ratings. However, there is one area of explosives that I feel we should investigate on the side of officer safety and safety in general. That is the increasingly popular use of Tannerite, a binary explosive compound. Car Stop Shooting Video: Deadly Threats Come Quickly! 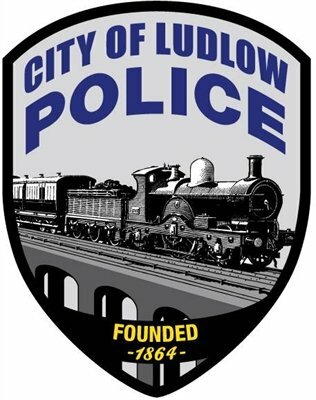 On December 22, 2015 Officer Samuel Hodge stopped motorist, Charles Reynolds in Ludlow, Kentucky. The incident went from a standard traffic stop to a deadly force encounter in a matter of seconds. 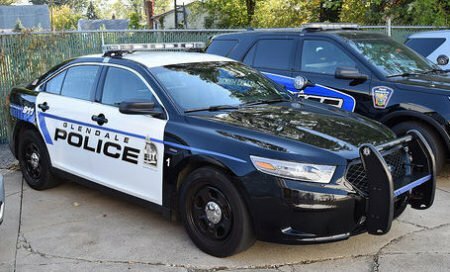 This article will look at the video and hopefully provide officers some sound advice on how to navigate a similar circumstance and come out victorious. BlueSheepDog is dedicated to providing our readers the best training articles, industry news, and equipment reviews we can muster. We’re not as big as other law enforcement sites, but our commitment to excellence is none the less. As a part of our dedication to those who serve on the thin blue line, we present these officer safety videos as a means to analyze the job, understand the dynamics of deadly threat encounters, and hopefully prepare our readers to not only survive, but to win a deadly force incident. 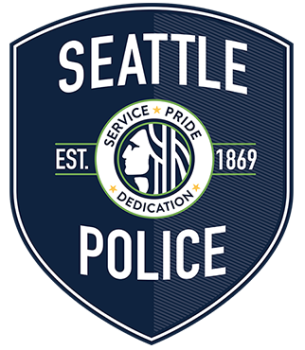 The new Seattle Police patch (photo by Seattle PD). The Seattle Police Department responded recently (December 6, 2015) to multiple calls of a suspicious man in several businesses. The male was described as sweating profusely and acting nervous by the business’ staff. The man ultimately brandished firearms at multiple locations before he carjacked a Volkswagen and began a series of carjackings at gunpoint. Seattle Police located the suspect in his third carjacked vehicle, a Chevy Camaro, and pursed even as he began firing at them. After a brief high-speed pursuit, at one point in opposing lanes of traffic, the officers ultimately forcibly rammed the Camaro to stop the pursuit. Not finished yet, the suspect attempted to maneuver his vehicle to ram police or escape, and was fatally shot to death by the officers. Police are still trying to figure out the motive and background of the 35-year old felon, but there are some learning points that can benefit officers confronted with similar situations.